Posted on May 24, 2018 at 1:14 am. To achieve maximum comfort in your residential place, you need to have both an efficient heating and cooling system and high indoor air quality. But not just that, it is also important to consider the design and layout of your home, especially the insulation. Many homeowners in Dallas, TX neglect it most of the time which results in poor comfort and a very alarming energy bill. It is important that you provide your home with proper insulation to prevent the exchange of indoor and outdoor air. Even the small cracks and holes, if left unsealed, can bring great effect to your overall home comfort. And luckily, for your existing wall cavities, there is an easy and simple solution which does not need much labor done on your wall. 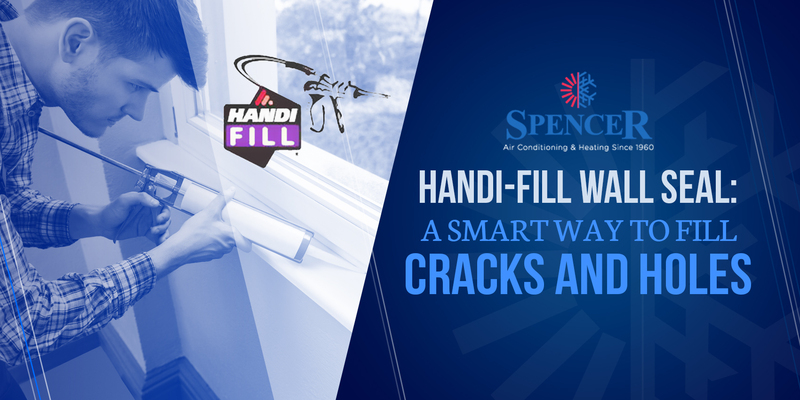 Check out the Handi-Fill Wall Seal, a smart way to fill cracks and holes in your home. In the past years, insulating wall cavities required great effort and was done mainly by using blown cellulose. The problem, however, is that cellulose does not do air seal and settles over time, leaving a void at the top. With Handi-Fill Wall Seal, you no longer need to remove the sheetrock on your wall to properly seal and insulate your existing wall cavities. It is the only polyurethane foam in the market that is designed especially for wall cavities. The Handi-Fill Wall Seal is an effective solution in sealing blind wall cavities where there may be little to no existing insulation. It is extra helpful to fixtures or holes where a low-pressure polyurethane foam system is required. You can use it to insulate, strengthen, and reduce vibration to voids of different sizes. How does the Handi-Fill Wall Seal Stack Up? The Handi-Fill Wall Seal has unique characteristics which make it better than other sealants such as the fiberglass and dense pack cellulose. It flows to fill the cavity, resists shrinkage and stops air leakages. Additionally, it is non-settling and can flow through complicated shapes. Do not ignore even the smallest cracks and holes in your walls. Fill and seal them with the Handi-Fill Wall Seal to achieve optimum comfort. Call Spencer Air Conditioning and Heating today for an estimate. You can also count on us for your other comfort concerns. Just give us a call anytime at your preference.